The Single pump drive is a whole that includes all the components to connect a Diesel engine to a Pump. 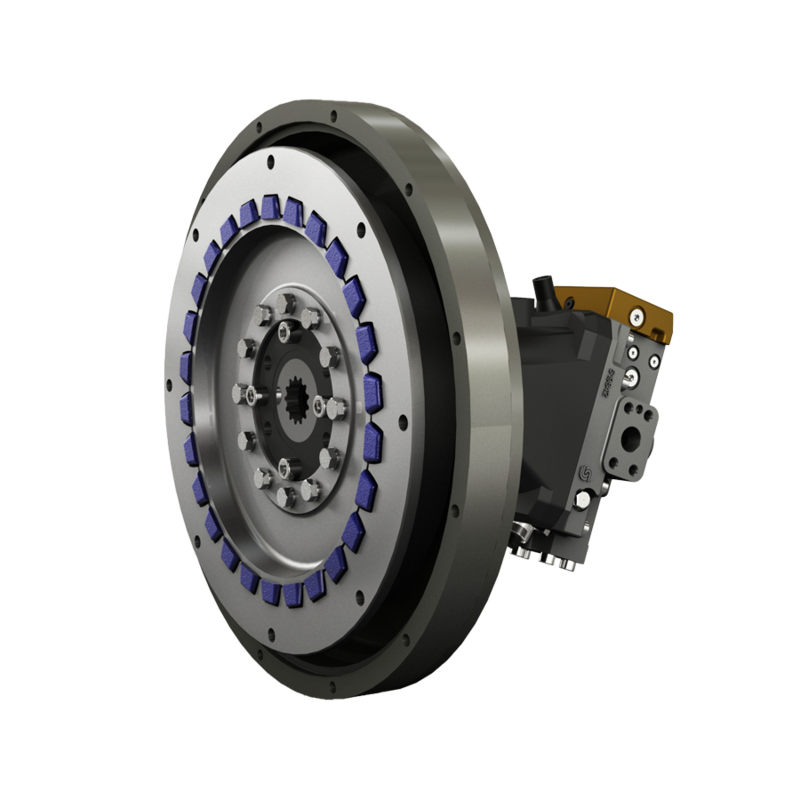 The drive principle makes use of internal and external teeth; the only difference being that the external teeth are blocks of special rubber molded compound. The external ring, in aluminum, has a profile corresponding to the rubber molded compound and can be directly mounted on the output flange of the prime mover. By this method it is also possible to absorb small angular and radial misalignments.